This is a pair of soft compound Traxxas Response racing monster truck tires for the Traxxas Revo. 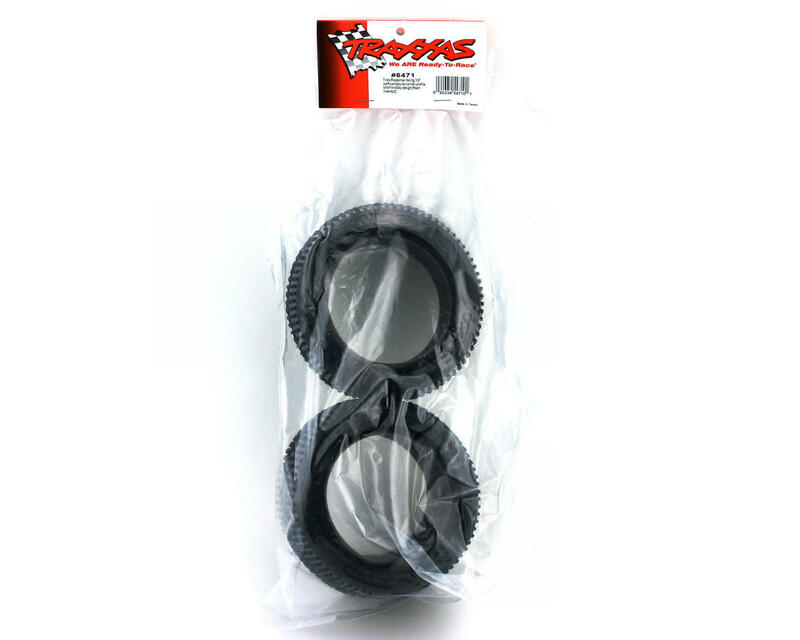 These will fit on standard Revo compatible monster truck rims. 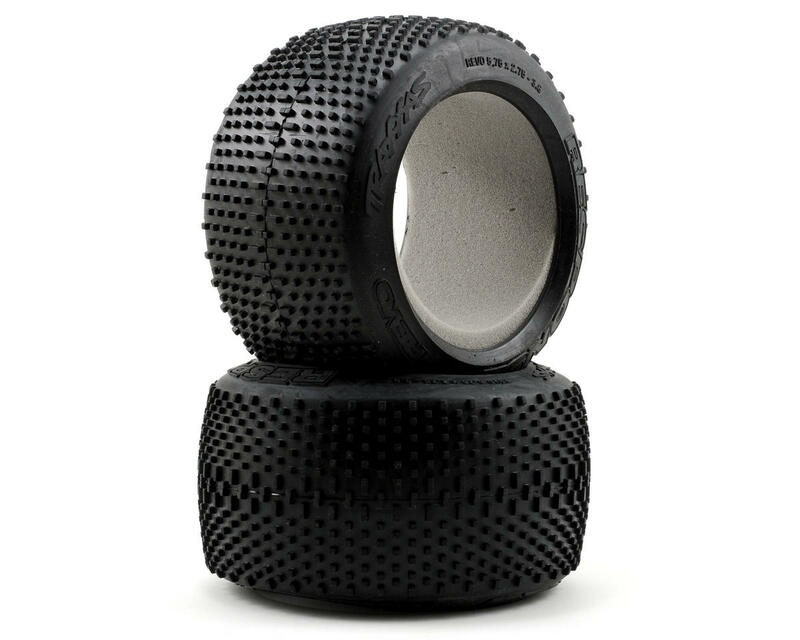 These tires have a racing tread pattern similar to the very popular Pro-Line Bow Tie monster truck tires for incredible traction for most track conditions. These tires also come with gray foam inserts. These tires will NOT fit on standard T-Maxx monster truck rims, or Pro-Line 40 series rims, only Revo size rims. I Love these tires they are great they hook up really good on all different track surfaces. Well worth the money. Stick like glue! I put a set of these on my E Maxx and it cornered like it was on rails. I thought it was going to be loose, but I was WRONG!!! They stick equally as well on Dirt as well as asphalt. Only complaint is they wear out too FAST...but don't they all!! !